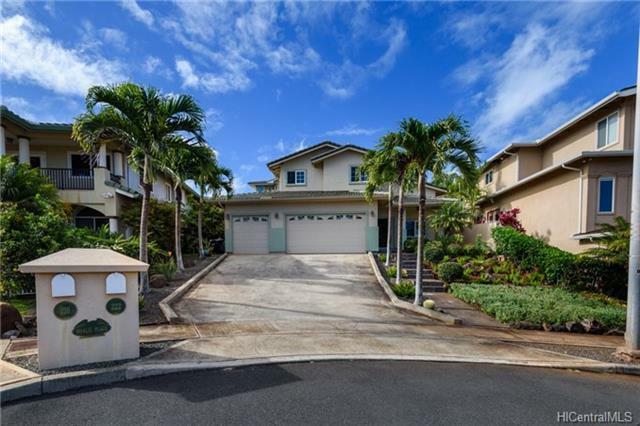 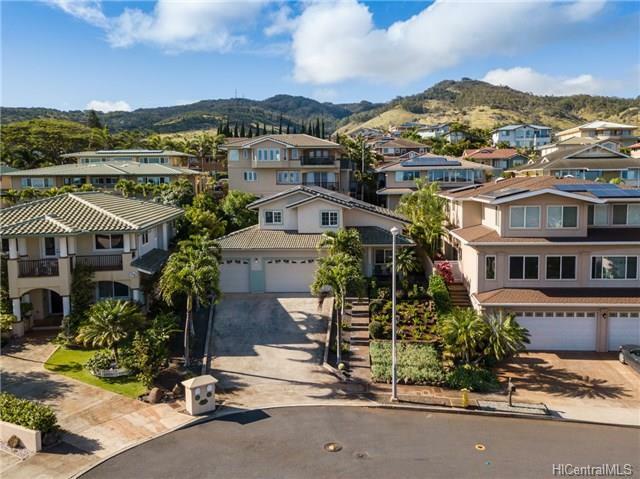 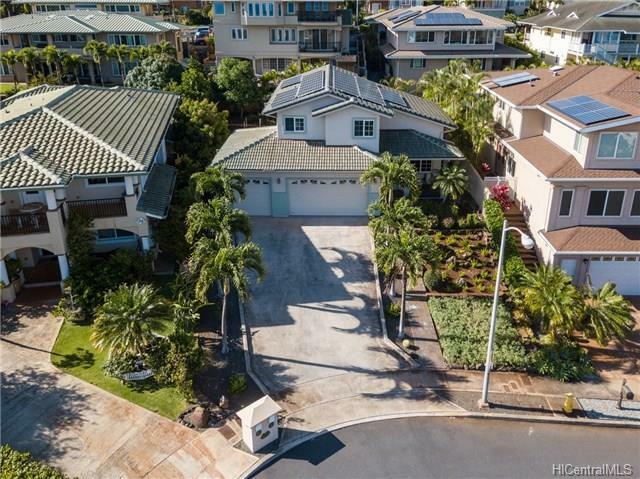 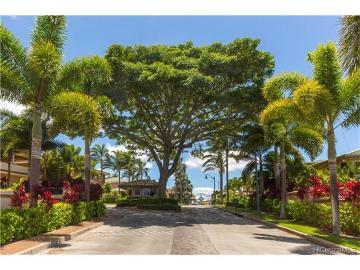 Welcome to the private gated neighborhood of Kumulani nestled on a hilltop of Makakilo. 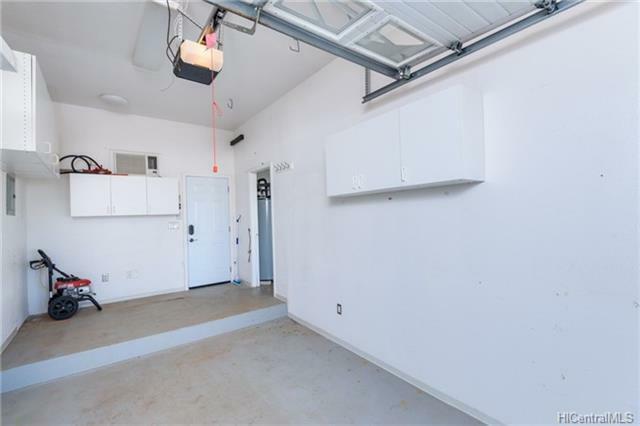 Home shows pride of ownership. 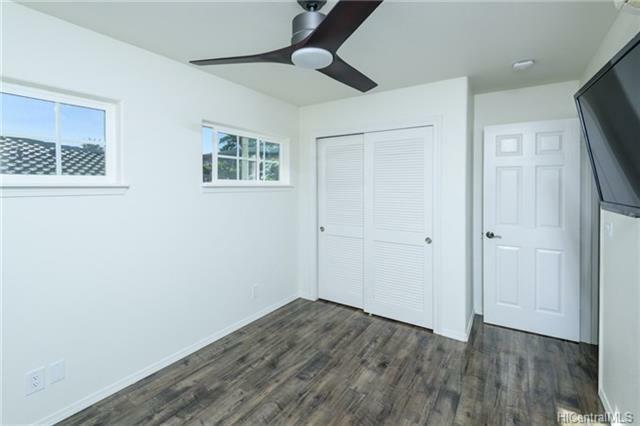 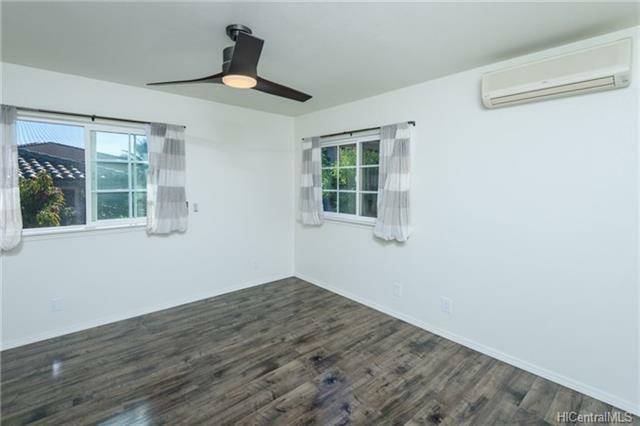 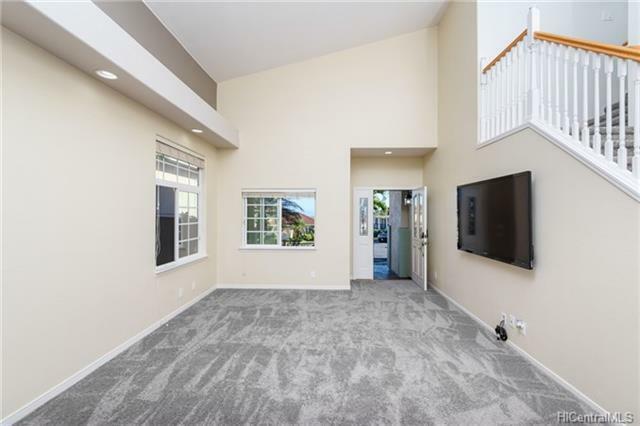 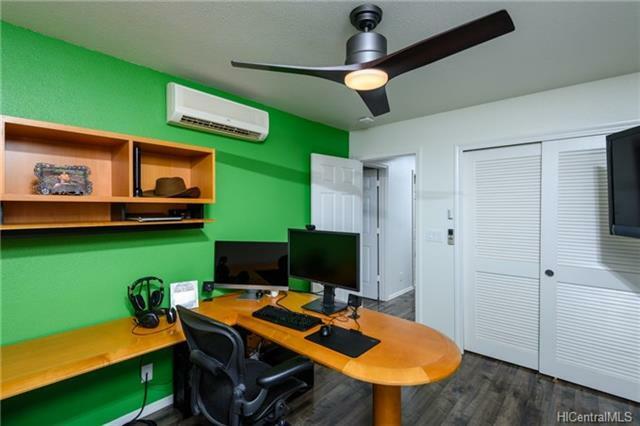 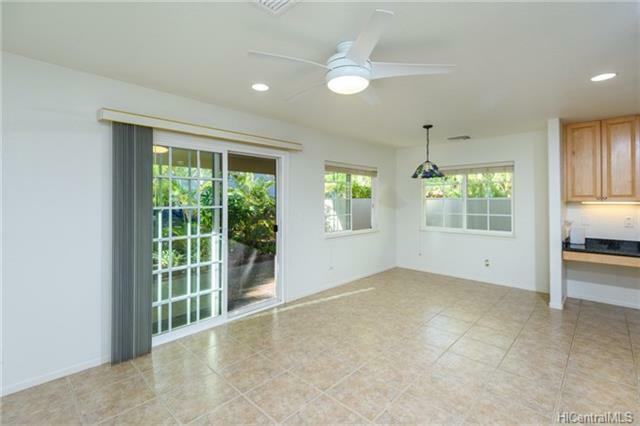 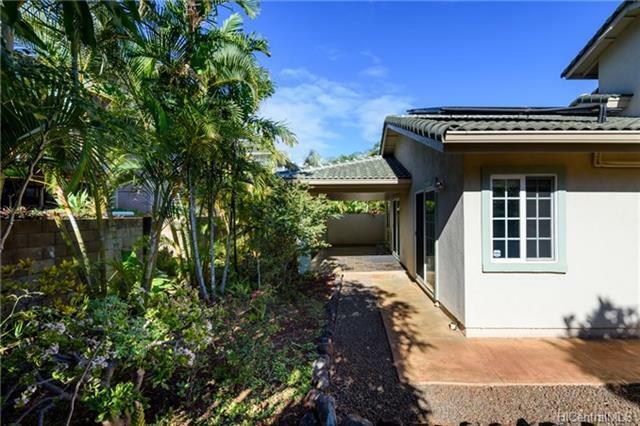 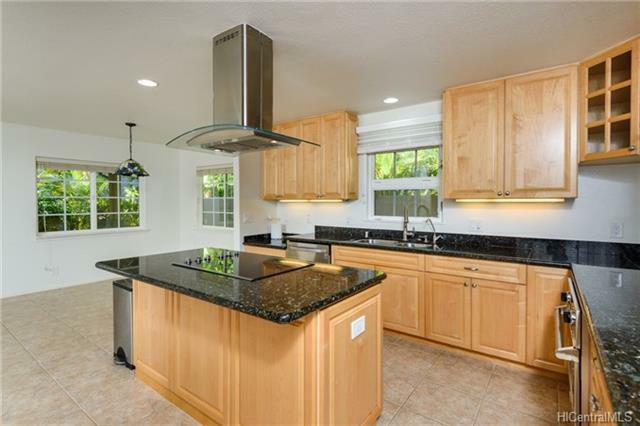 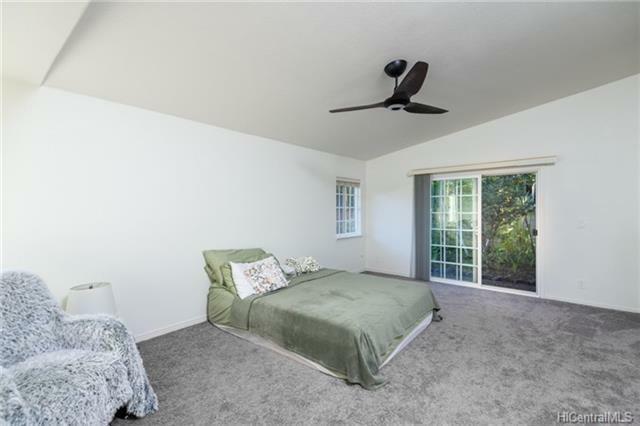 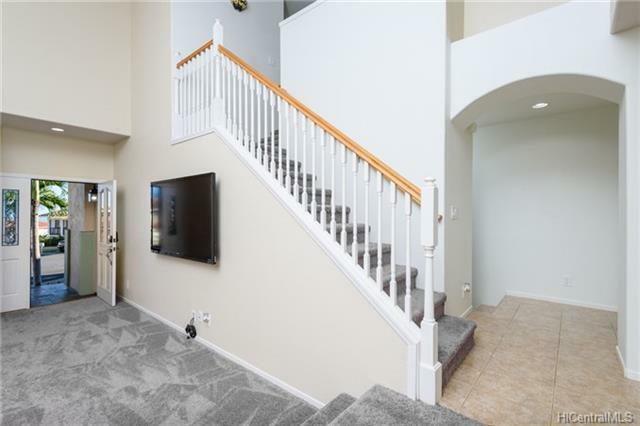 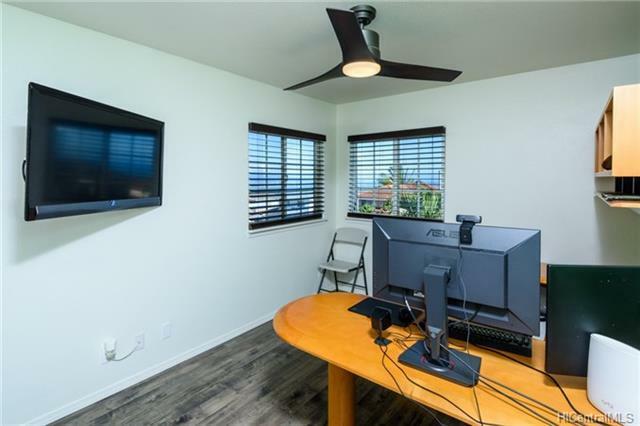 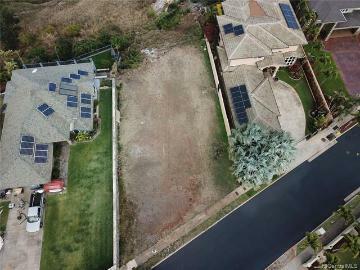 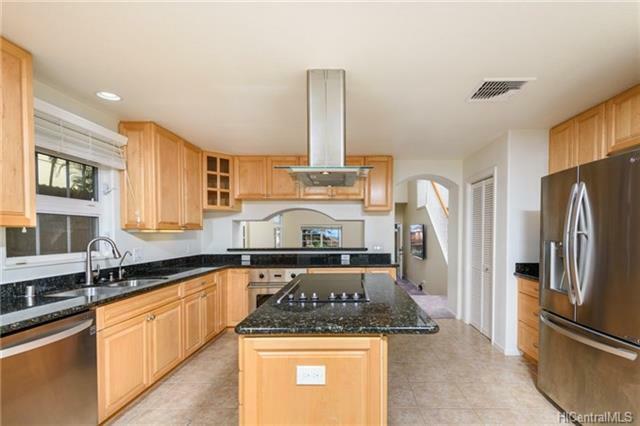 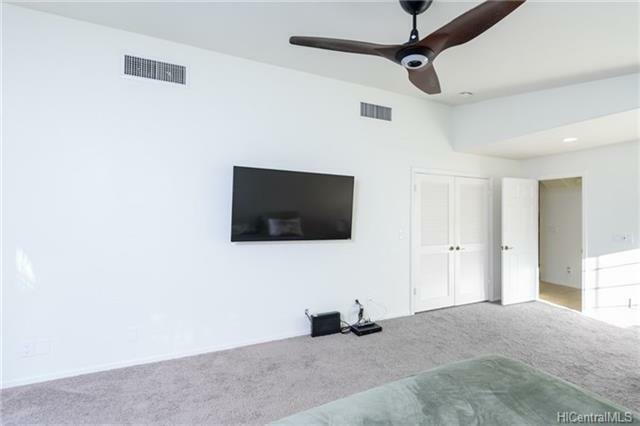 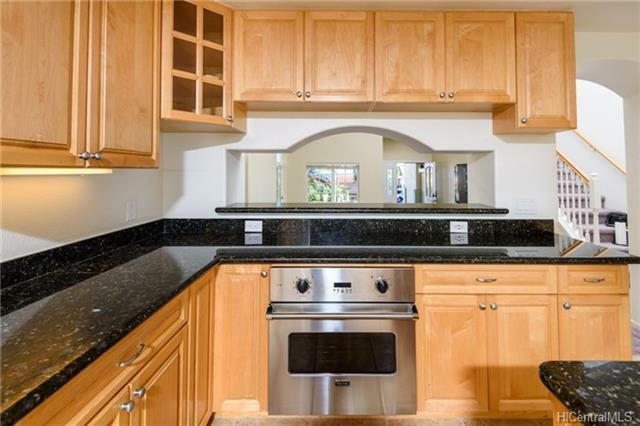 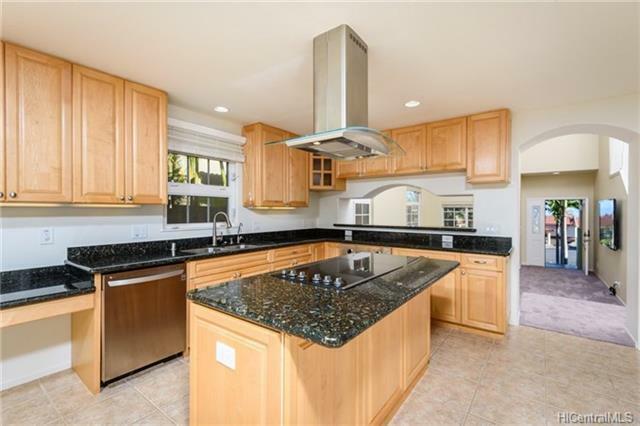 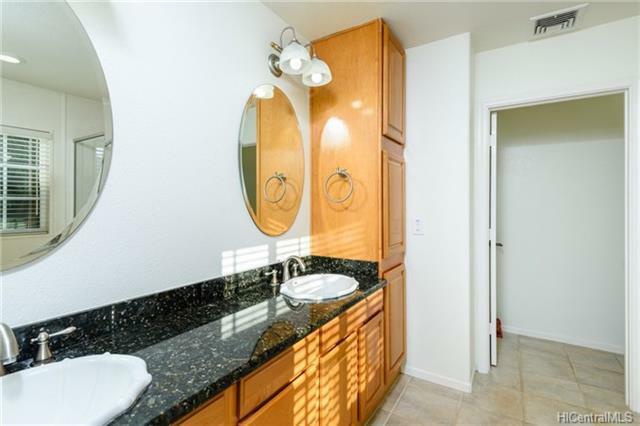 Seller owned 35 panel PV System, new laminate flooring and carpet; home freshly painted; upgraded appliances; covered, private lanai for family gatherings or relaxing. 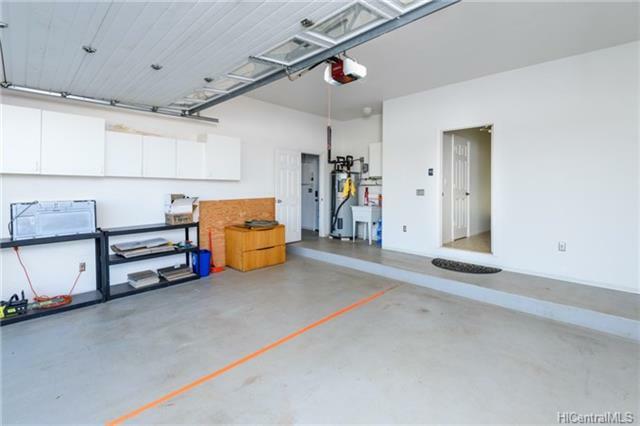 Spacious 3 car garage and a extended driveway. 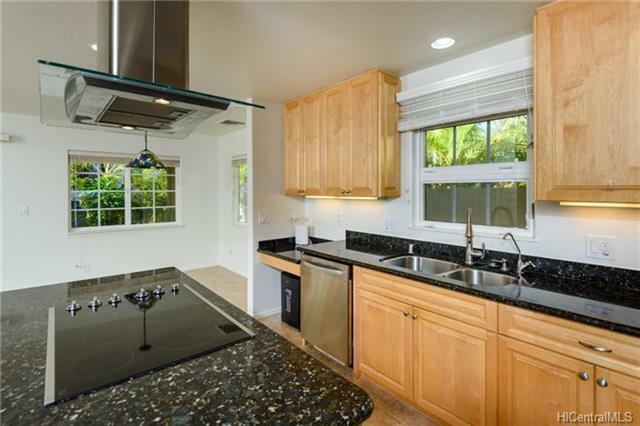 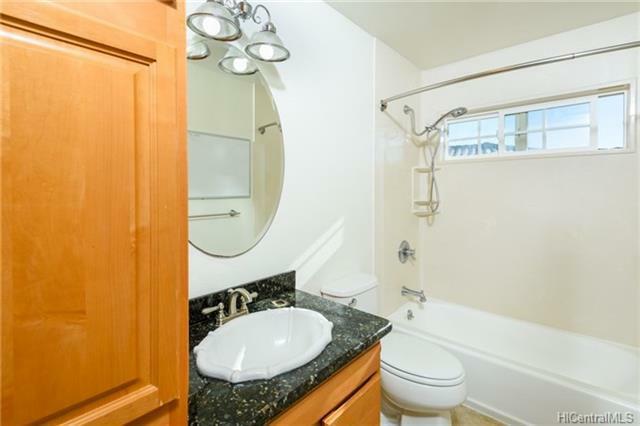 You will also appreciate other improvements of this beautiful home located in a cul-de-sac. 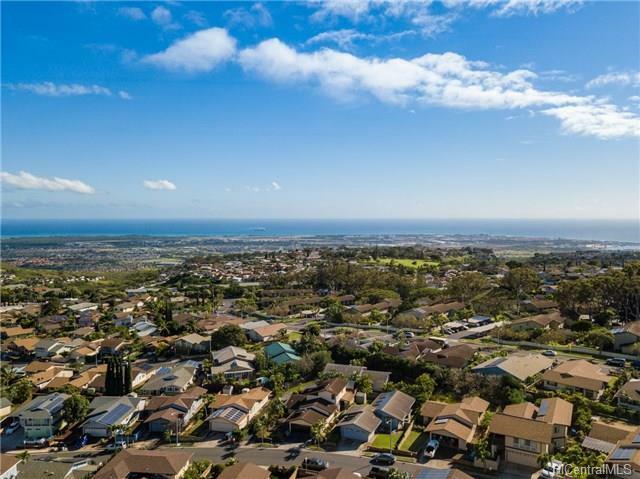 Cool breezes and beautiful views await the new owner. 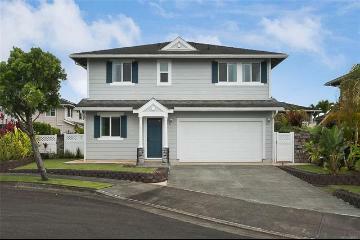 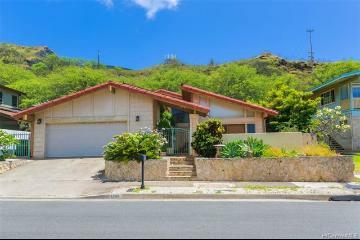 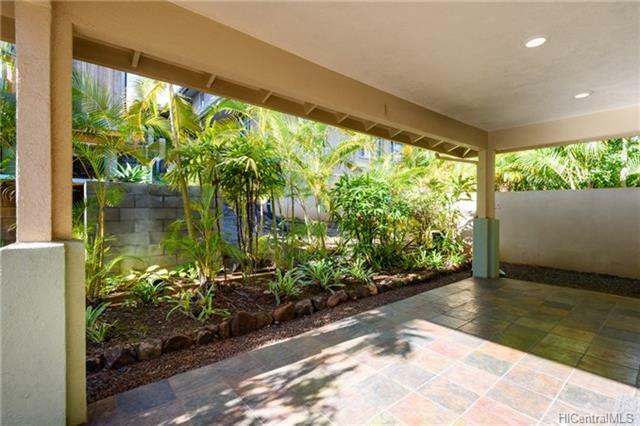 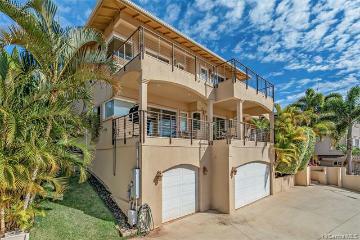 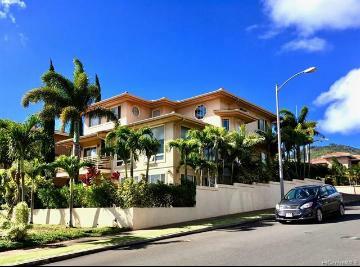 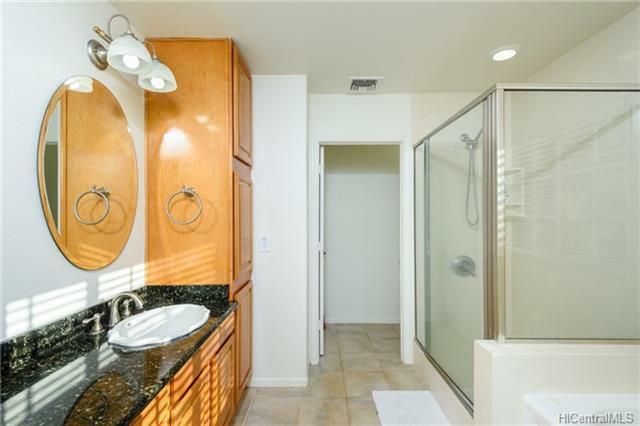 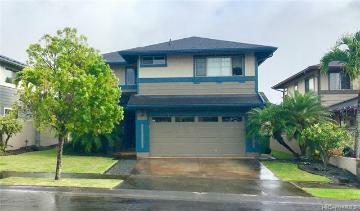 92-222 Hoalii Place Kapolei 96707 is listed Courtesy of Coldwell Banker Pacific Prop. 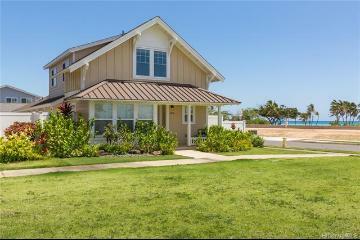 92-222 Hoalii Place, Kapolei, HI.